Program #FADM001. Recorded in Denver, CO on September 20, 2013. The Egyptian Revolution, which in early 2011 overthrew the decades-old Mubarak dictatorship, stirred the imagination of the world. The so-called Arab Spring was in full bloom. Anything seemed possible. The region’s decrepit and feudal regimes were in danger of falling. Tahrir Square in Cairo became the symbol of liberation. But as Mao said, “A revolution is not a dinner party.” The euphoria of the moment masked deep divisions and conflicts within Egyptian society. In 2012, Mohamed Morsi of the Muslim Brotherhood was elected president. Frustrated by his ineffective rule and rejecting his Islamist agenda, some of the Tahrir Square protestors urged the military to take over. On July 3, 2013, Morsi was toppled in a coup. Since then, the security forces have killed hundreds of Morsi supporters. Thousands have been arrested. The media are muzzled. The military is in charge. 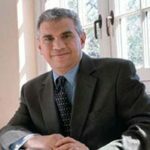 Mohammad Fadel is Associate Professor and Canada Research Chair at the University of Toronto, where he is cross-appointed in the Faculty of Law, the Department of Religion, and the Department of Near & Middle Eastern Civilizations. He has published numerous articles on Islamic legal history, international human rights, liberalism and democratic theory. This program covered a situation we mostly only here hype about in a manner that makes it understandable.